"Is there anything you don't know?" 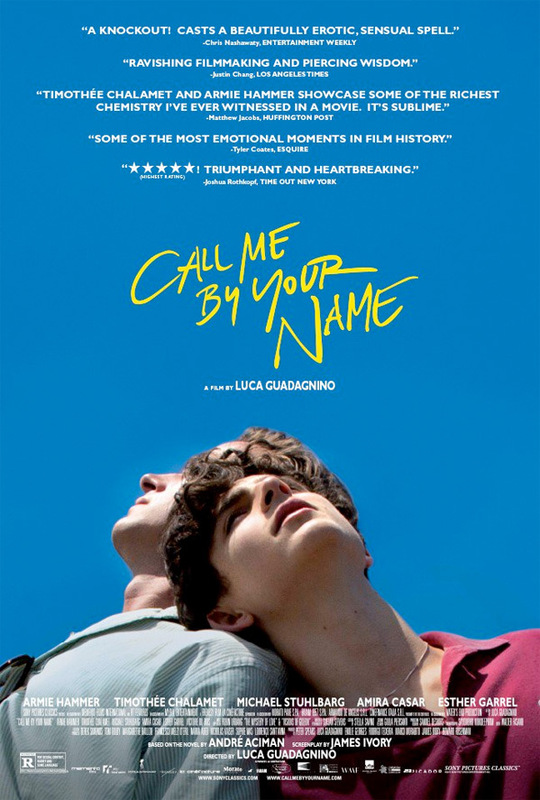 Sony Pictures Classics has finally released the first official trailer for Call Me By Your Name, Italian director Luca Guadagnino's assured masterpiece that first premiered at the Sundance Film Festival this year to rave reviews. The film stars Timothée Chalamet, in one of the best performances all year, as a boy living in Italy with his American-Italian family. An older American man, played by Armie Hammer, comes to stay at their house for the summer, and the two slowly fall in love over the course of a summer full of music, food, and romance. The full cast includes Michael Stuhlbarg, Amira Casar, Esther Garrel, Victoire Du Bois, and Vanda Capriolo. I've seen the film twice and it's easily one of my Top 10 films of the year, no question. I wrote in my glowing Sundance review that it's "an utterly sublime cinematic experience that left me floored." I can't recommend it enough, a true masterpiece. Summer of 1983, Northern Italy. An American-Italian is enamored by an American student who comes to study and live with his family. Together they share an unforgettable summer full of music, food, and romance that will forever change them. Call Me By Your Name is directed by acclaimed Italian filmmaker Luca Guadagnino, of the films The Protagonists, Melissa P., I Am Love, Bertolucci on Bertolucci, and A Bigger Splash previously (and the upcoming Suspiria remake). The screenplay is written by James Ivory; adapted from the popular novel of the same name by André Aciman. This first premiered at the Sundance Film Festival (read our review), and it also played at the Berlinale, Sydney, and Melbourne Film Festivals. Sony Classics will release Call Me By Your Name in select theaters starting November 24th later this fall.